Urban planning is a relatively young field. It was only in the twentieth century that local governments began to think more systematically about how cities should be designed. At present, many local governments are incorporating principles of sustainability to plan their cities in a holistic and strategic way. There are a number of established mechanisms, such as installing rainwater collection devices, designing green roofs, retrofitting buildings and designing city-wide cycle lanes. However, it is not just the design of cities that is changing. The planning process itself is evolving. Innovative projects submitted to the Transformative Actions Program (TAP) reinvent various aspects of the planning process, from testing ideas to gathering data. The green technology sector is rapidly growing in the City of Vancouver, Canada. To support this sector, the city is helping to lower the barriers companies face along the development pathway – from incubation, demonstration and commercialization to market development. Downtown Vancouver, courtesy of ecstaticist via Flickr. The Vancouver Economic Commission (VEC) is supporting innovation by providing businesses with access to demonstration sites. The VEC has developed the Green and Digital Demonstration Program (GDDP), which provides clean technology and digital entrepreneurs with access to city-owned infrastructure and assets for proof-of-concept trials and pilot testing. Selected participants gain temporary access to city-owned assets and infrastructure, such as buildings, streets and vehicles, and are able to leverage Vancouver’s green brand cachet, using the city as a reference when marketing their products and services around the world. The GDDP was approved in 2014, and the VEC has invited applications through the second half of 2015 with a view to implementing the project in 2016. The range of possible projects is wide. Projects could include, for example, the use of locally-recycled grease for biofuel in city vehicles, locally-produced software tracking real-time energy use in city buildings, wireless bio-pesticide pest traps in city trees or the use of city-owned light poles for the attachment of parking spot availability indicators. As the agency responsible for managing the GDDP, the VEC collects and screens applications, monitors and reports on progress and communicates program success stories. The GDDP aligns with the Greenest City action plan, which aims to position Vancouver as the world’s greenest city by 2020. With this target in mind, the city informs businesses that GDDP applications must contribute to overarching city aims. These include making all newly constructed buildings carbon neutral, reducing community-based greenhouse gas emissions by 33% from 2007 levels, reducing existing building energy use and emissions by 20% over 2007 levels and reducing solid waste to landfills or incinerators by 50% from 2008 levels. The long-term impact of the project is a stronger, more diversified group of companies developing sustainable technologies and distributing them globally. 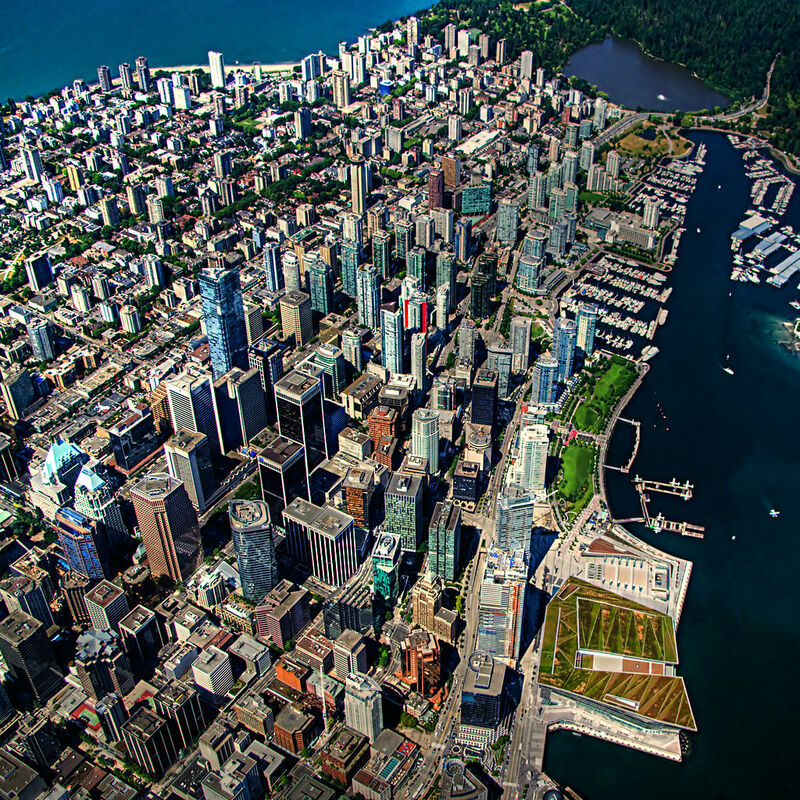 The city also benefits by creating a low-cost, low-risk testing ground for sustainable solutions; if the solutions work, the companies responsible will manufacture and implement them in cities, including Vancouver itself. The project is a win-win, aligning the assets of the city with the needs of business to create effective, market-ready and exportable green technologies. Vancouver is demonstrating that businesses and cities can mutually benefit from sharing city resources. In Reykjavik, the capital of Iceland, it is citizens who directly test urban planning solutions through the “Meanwhile Projects”. Reykjavík’s project focuses on “places-in-waiting,” which refers to areas of undecided future usage and untapped possibilities. Under the city’s scheme, these places-in-waiting are allocated to groups or individuals experimentation. Groups of citizens can submit ideas to the city government; if the ideas are approved, the group takes over the space for a defined period of time. To ensure transparency, letters with project information about projects are sent to all neighbors, who can contact project leaders with comments or suggestions. The range of projects is wide. Some spaces have been developed into squares, where neighbors can relax and mingle; others have hosted art fairs, pop-up yoga classes and food markets. Reykjavik is emphasizing the environmental possibilities of the initiative by offering infrequently used parking lots to groups, reducing the space given over to private cars. The spaces provide an ideal opportunity for citizens to implement sustainability initiatives, from community gardens and urban agriculture to climate change education installations. This project has significant benefits for the city. Empty spaces leave holes in the fabric of the city, encouraging crime and other antisocial behavior. The projects that have been set up by residents in Reykjavik encourage pedestrian traffic and activity, which creates a built-in neighborhood watch. More broadly, the initiative creates a more vibrant, interactive environment. Instead of walking past an empty parking lot or building site, residents can engage with each other, building and strengthening their communities. 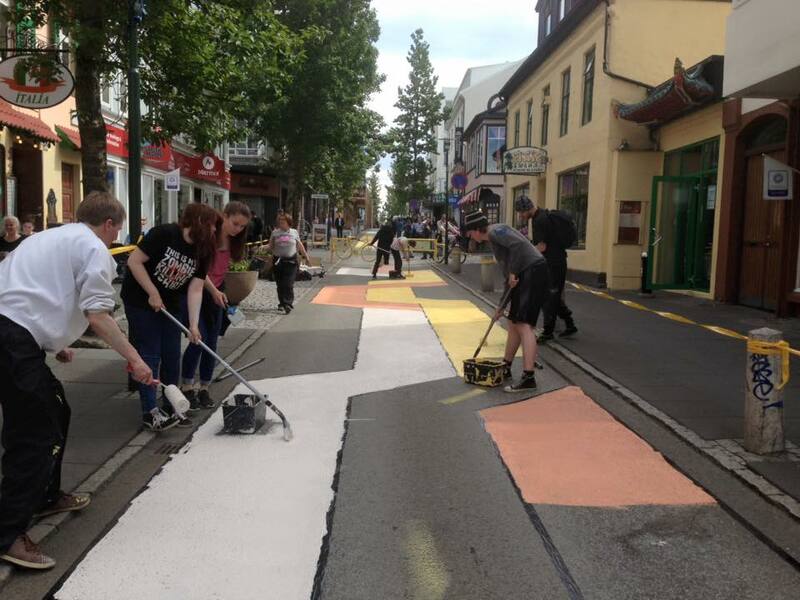 However, Reykjavik’s “Meanwhile Projects” are also cost-effective ways to transform the city. The projects are implemented as trials, and if they citizen feedback shows they are popular and effective, the city supports their long-term development. This is a strongly democratic, bottom-up approach to urban planning, which is quite efficient from a financial perspective: the city makes use of the talent, creativity and commitment of artists and volunteers. Engaging citizens is vital for sustainable cities. This concept has taken on a new wave, as more planners work with the public to collect vital data. Bristol, UK and Recife, Brazil are tapping this tremendous resource to strengthen their planning. 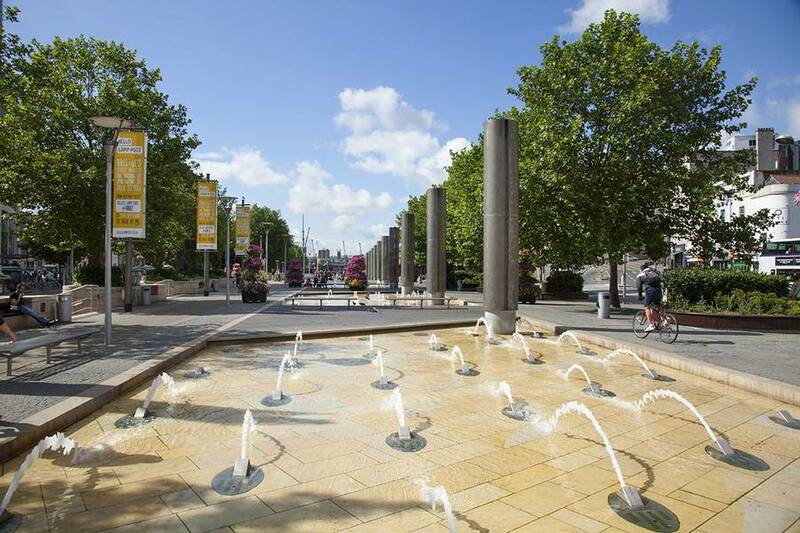 Bristol is developing an urban simulator called the “Bristol Brain” to refine its strategies for low carbon development. Open and accessible, this tool combines data from a network of city-wide sensors with data gathered from the public; it then analyzes the data and creates scenarios to visualize a range of possible futures for the city. Creating these scenarios allows Bristol to assess the current health of the city and elaborate a strategy toward desired outcomes. The Bristol Brain is not a static depiction of the city. It will evolve as the city does, constantly receiving new data and updating the scenarios accordingly. The first focus for the Bristol Brain simulator will be traffic congestion and air quality, an area where citizens provide data and discuss possible future scenarios based on their own actions – walking to school, driving to work and so on. Indeed, a key part of the Bristol Brain project is the engagement of various parties. Citizens will be able to contribute data, while businesses and implementing partners use the Bristol Brain to conceptualize infrastructure projects. Recife, Brazil is also using the power of data to tackle its own challenges. Recife aims to improve its housing situation, a longstanding issue in the city. Now, Mayor Geraldo Julio has introduced the Mapping of Critical Areas project to identify and prioritize areas of need. The municipal administration aims to map 4,460 hectares of Recife in detail, which corresponds to 33% of the inhabited areas of the city. First, the administration will map the low-income areas. Secondly, it will use a census to gather data on areas with particular social issues. Thirdly, it will create a study to highlight points with high social, economic and environmental vulnerability. Lastly, the administration will use the data to develop an Integrated Sanitation Project, addressing the most pressing needs of the city in its most low-income areas. These initiatives represent long-term strategies to ensure robust data and innovative tools are used to make smart planning decisions. They also make use of a diversified set of resources – from citizens to businesses. These TAP projects represent advancements in urban planning, and reflect a wider shift toward innovative planning in cities around the world.